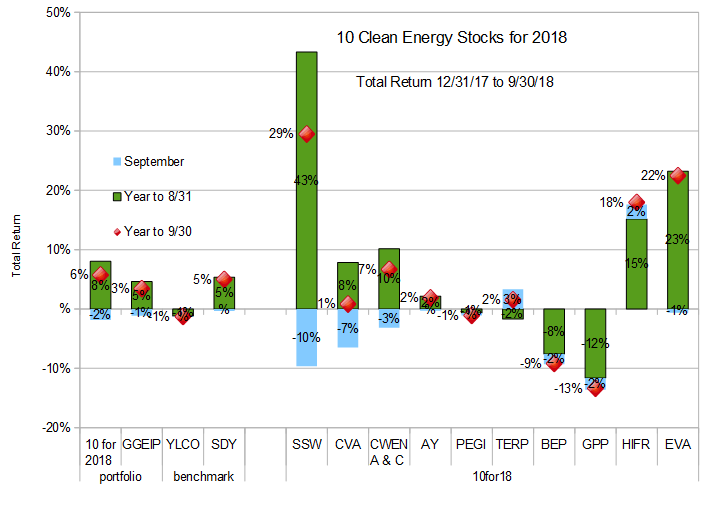 As you can see from the chart, September was a tough month for my model portfolio of Ten Clean Energy Stocks for 2018. Seaspan (SSW) fell back on trade war fears and Green Plains Partners (GPP) fell on ethanol market weakness caused by retaliatory ethanol tariffs and the Trump EPA’s continued undermining of the Renewable Fuel Standard. 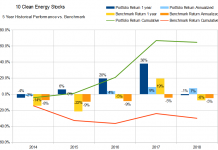 I’m less sure why Covanta (CVA) is down, but Clearway Energy’s (CWEN and CWEN-A formerly NRG Yield) small decline is due to a recent secondary offering. 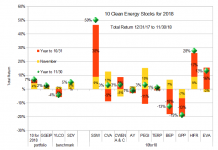 Two of these (CVA and GPP) were my top picks last month, while the third was Terraform Power (TERP). 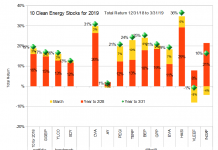 With the declines of GPP and CVA, I like both stocks more, so they are still my favorites. Like last month, I’m still very concerned about the market and I like cash better still. Indeed, last month my cash holdings easily out-performed my three top picks (-1.7%) and the portfolio as a whole (-1.6%.) 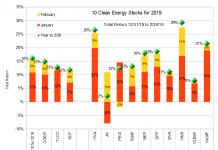 This month’s pick is the same: increasing your cash position seems like a good idea, but if you really want to buy a stock, try GPP, CVA, or Brookfield Renewable (BEP). I’ll be back with a more in-depth update next month. Disclosure: Long PEGI, AY, CWEN-A, CVA, HIFR, AY, SSW, TERP, BEP, EVA, GPP.